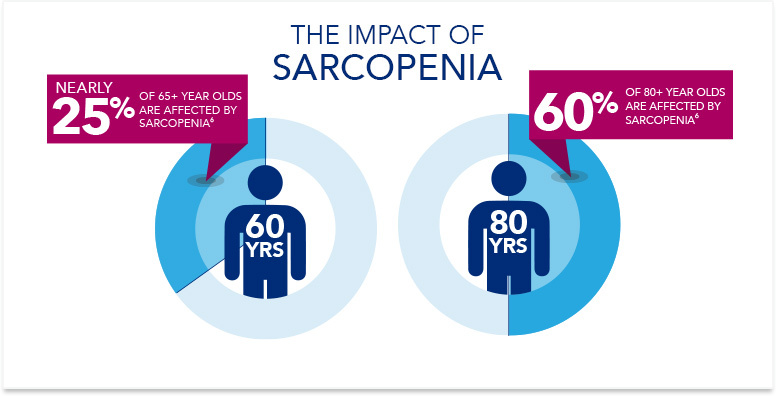 Did you know that 25% of adults over 70 years old and 65% of adults over 80 have Sarcopenia. Sarcopenia is an age-related, multi-factorial process that is characterized by the loss of lean muscle tissue mass. Sarcopenia is accelerated by physical inactivity and poor nutrition with aging. After the age of 30, adults lose 3-8% of their muscle mass per decade. Coincidentally, the loss of lean muscle tissue contributes to a decrease in muscle strength and power. As a result of the loss of lean muscle tissue, the occurrences of falls and mortality are directly. How can the aging population fix this? Studies have shown that drinking 20g of whey protein (with 2 g of leucine) before bed stimulates muscle protein synthesis during sleep and improves overnight whole body protein balance in elderly males. The amino acid leucine has shown to protect muscle mass during the sleep cycle. This supplementation has shown to suspend the catabolic state and change it into an anabolic (muscle growing state) during sleep. It is also important to note that the elderly should combat sarcopenia on all fronts. Studies recommend an intake of 25-30g of high quality protein with each meal and habitual exercise. If you have more questions on how to combat Sarcopenia, please feel free to contact us. The Organic Compounding Pharmacy has a full range of premium supplements and protein powders.